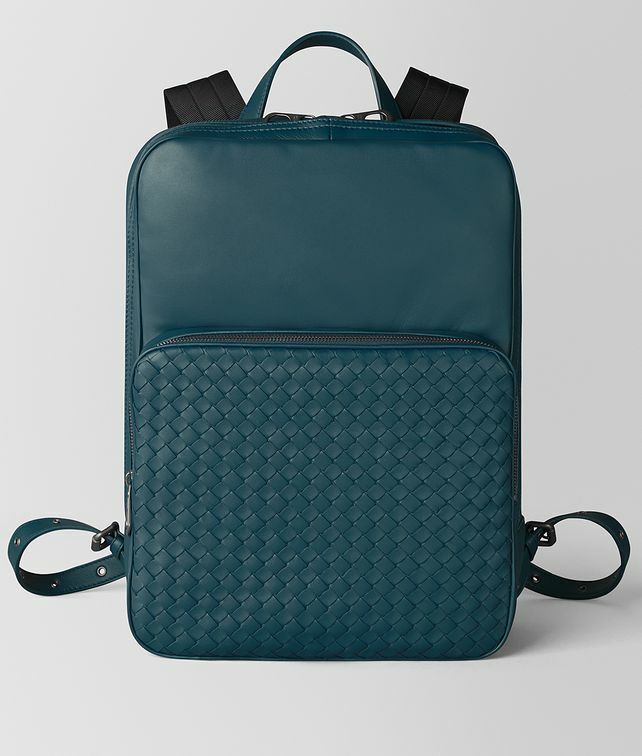 Ideal for an on-the-go lifestyle, this urban backpack is designed with a contemporary squared shape which is both lightweight and functional. Crafted from smooth nappa with an intrecciato front pocket, it's comfortable to carry by the adjustable nylon ribbon shoulder straps or by the leather top handle. The cotton-lined interior is fitted with an ample padded section for holding a tablet or laptop, and an additional zip pocket at the back helps organize smaller accessories.